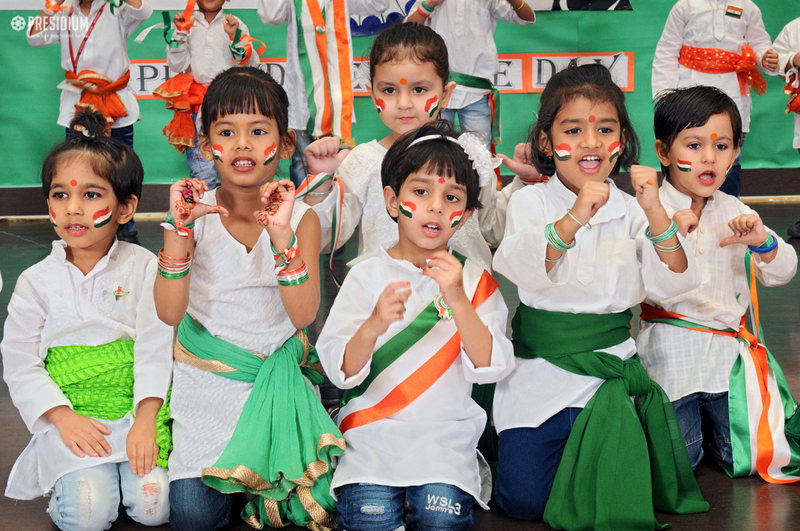 The 72nd Independence Day of India was celebrated at Presidium Raj Nagar with a great deal of patriotic zeal and fervour. 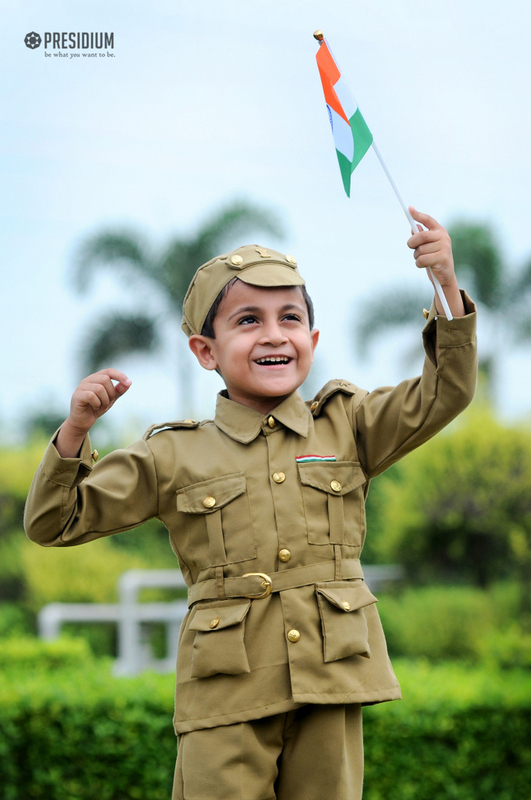 The event began with the Welcome of the Chief Guest, Shri Akash Tomar, the Superintendent of Police City Ghaziabad. 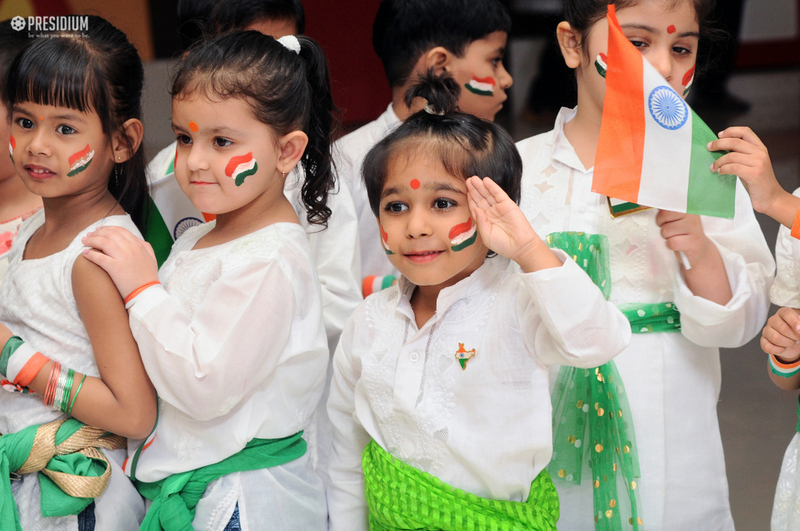 It was soon followed by the release of tricolour balloons fluttering in the air by the guests. 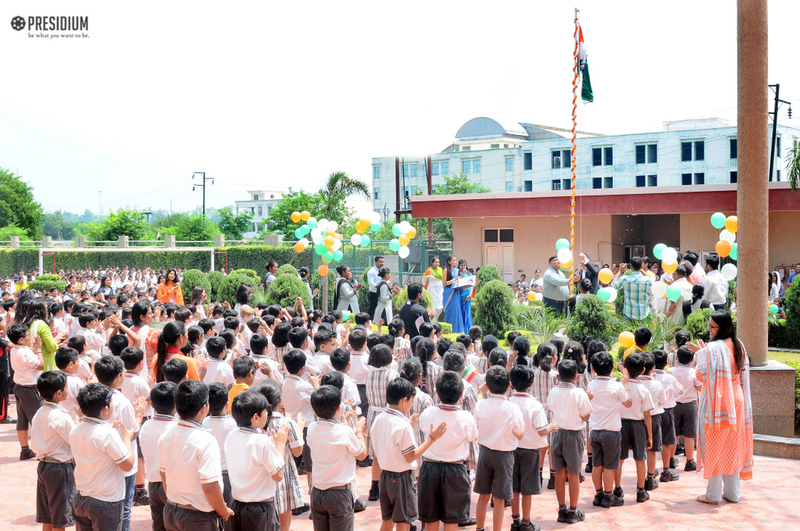 The entire school courtyard reverberated with the rhythmic beats of patriotic songs. 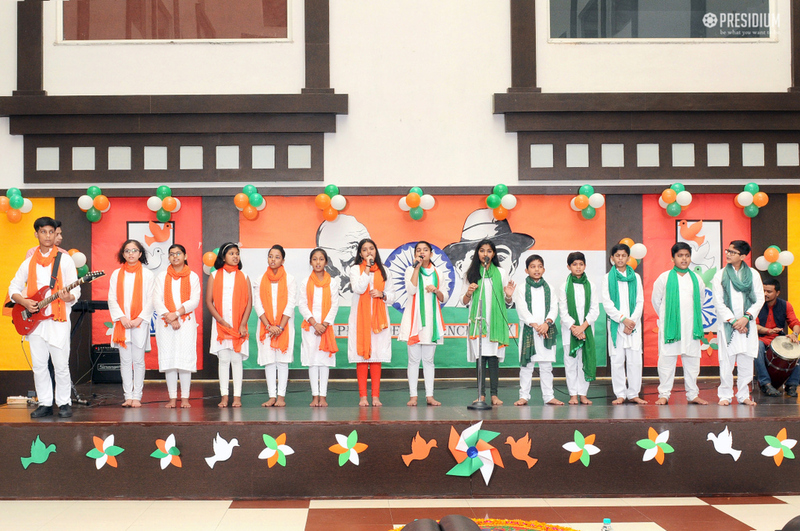 In the sequel, a speech was delivered by a student of Grade 8 on the glory of the Independence day. 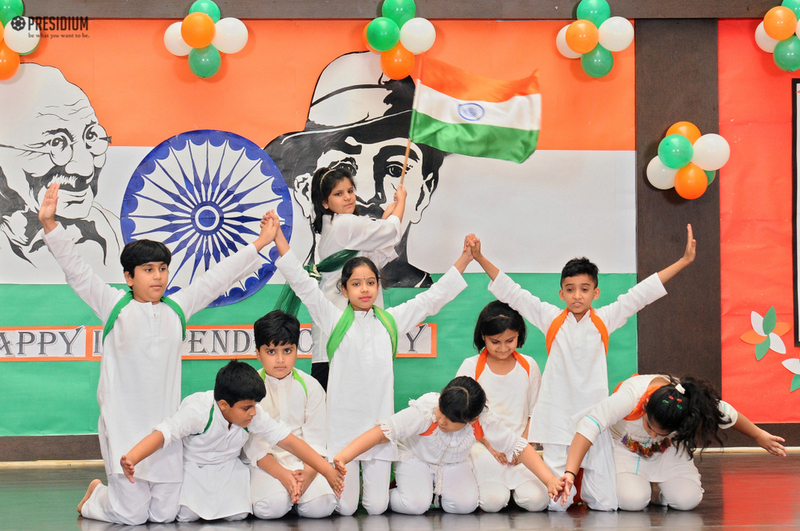 A blend of dance and drama that depicted the massacre of Jalianwala Bagh, was also performed by the young Presidians. 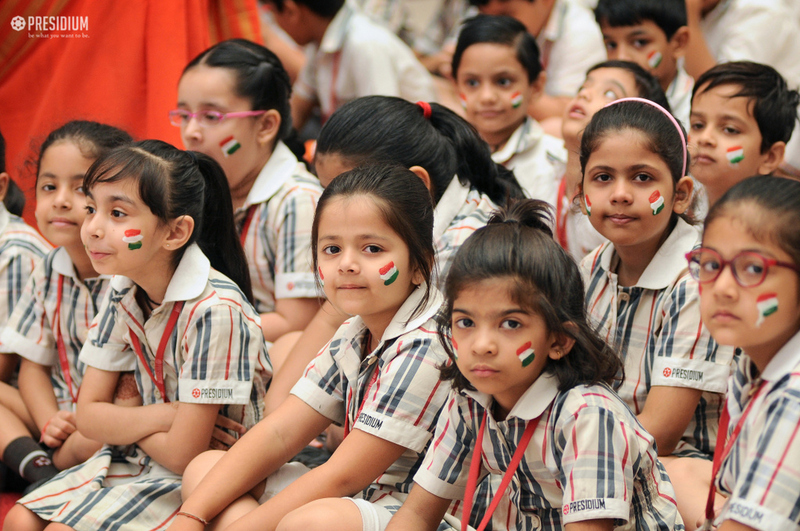 The programme left everyone inspired to do their bit for the nation and always uphold its values.